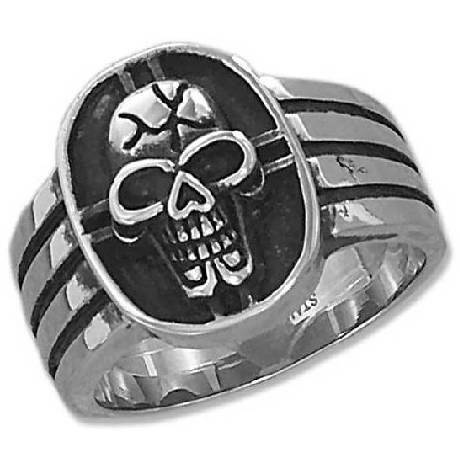 This unique ring features the face of a cracked skull against an antiqued background. 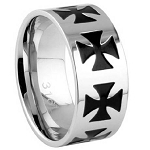 The three antiqued lines go half way around the ring. 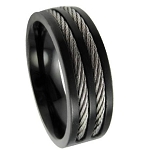 This is a 12mm wide band that tapers to 7mm on the palm side. The oval in which the skull is set measures 15mm by 20mm.